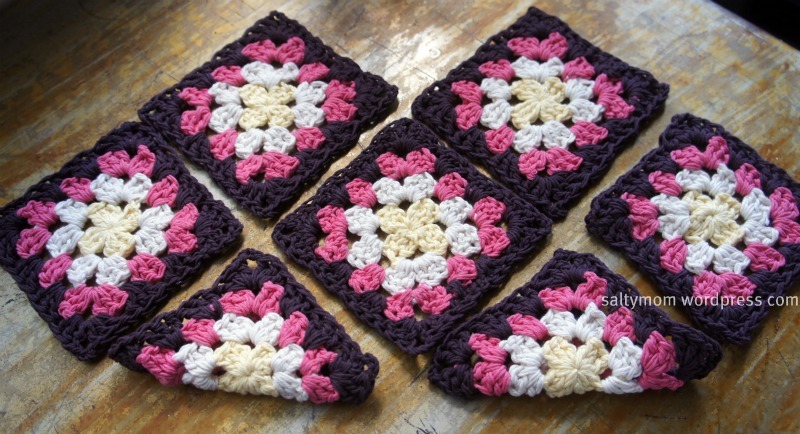 When I blog surf and see other crafters’ granny squares stacked up like this, I get hungry. They do look like a stack of waffles, do they ? … Five more to go … or maybe ten. I’m not sure what I’m doing. 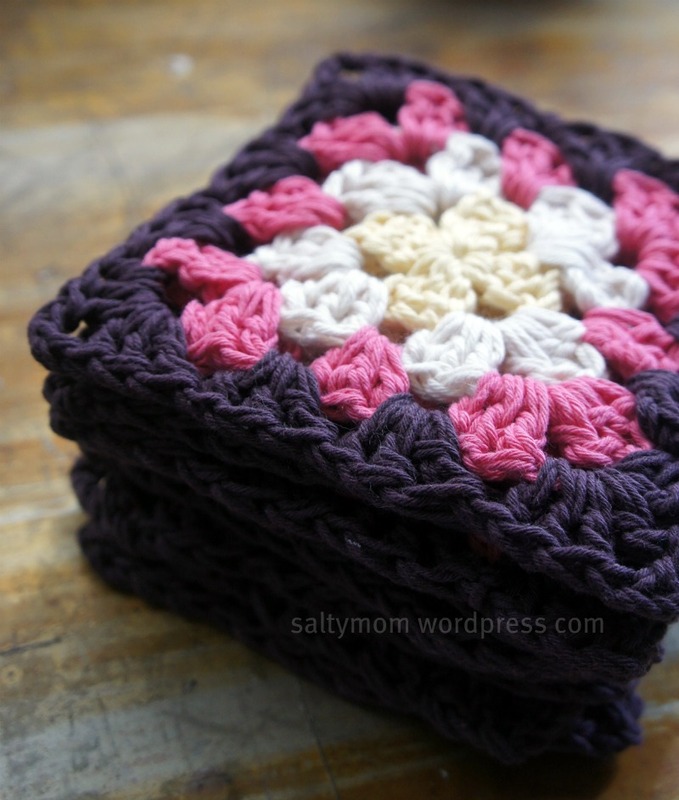 It could be a bag.